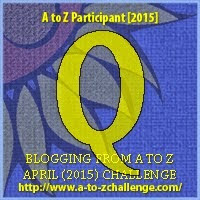 Today's 'heart things, heart strings' theme for the letter Q in the A to Z challenge is Questioning. I hope you read my short post on non-conformity vs. "normal" ... what is that?! - http://xpressyouressence.blogspot.ca/2015/04/a-to-z-challenge-n-is-for-normality-no.html - then you will understand when I say it is important to be of a questioning nature. Now, I don't necessarily mean questioning everything (as I tend to seemingly do) as in being curious (as I am). ;) More so rather in terms of questioning the status quo, and yes, this may include questioning authority (for those in power are not always right you know!). When you question, you may do so out of fear possibly; however, in doing so you are acting in spite of being fearful. And by stepping into the fear, you can overcome it. The result of doing this, including the possibility of receiving answers, can lead you to a higher state emotionally, that is, one of openness, a state that expands the heart. I know this not just intellectually. I understand it at a deep level because of one experience in particular. To make a long story very short, I left a certain church (no names mentioned) and later organized (and) traditional religion that I didn't realize at the time had me feeling for the most part repressed, not to mention emotional and mental constriction and contraction. Imagine a boa wrapped around my body, especially my neck and heart area. 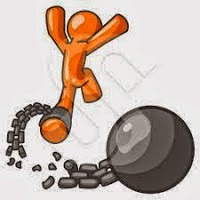 After I left - I had twice previously - I felt a sense of lightness as if I had loosened a chain or noose attached to me. I also came to realize that I was starting to feel happy, genuinely happy, more than just moments here and there, but lasting hours, even days in a row. That was unusual for me up to that point in my life. I had thought I might go back one day; however, after my spiritual awakening (http://xpressyouressence.blogspot.ca/2012/12/well-i-did-it-again-i-cant-believe-it.html), I knew in my heart I could never go back. It would be like stepping back into time, i.e., going backwards, not moving forwards, evolving. I became aware of the reasons why I had joined the church in the first place and the reason I could no longer return (as mentioned above). In hindsight, I believe that I was not able to question authority or else I would be going "against the church." That was a big no-no! And in my heart, I no longer believed that the church was true as it claimed to be. If I did not question my beliefs (which I did), none of this would have happened. However, I have no regrets. It's so important to be willing to ask questions instead of accepting at face value without investigating further. I totally agree. Questioning opens up your heart and an open heart means an open mind. Questions are the corner stone of a happy life, good you left instead of suffering. Mental anguish is the worst! Glad to know you have no regrets, Elly. Your first few lines made me smile Questioning authority is one of the things I do best! LOL See my "R" post. Yes, it's paramount to always ask questions about anything we're unsure of. Right on!